Description: This 3D FAQs page would like to introduce Guides, Tips and Solutions for watching 3D movies on 3D TV, popular 3D Glasses/Headsets, like Oculus Rift Development Kit 2, Samsung Gear VR, Google Cardboard, etc as well as the tips about how to get 3D sources. Search patiently and you will find the one solution you need. Maybe 3D appeals to you, but you're just not sure you're ready to take the leap. The good news is, 3D TV can provide an immersive experience for movies, sports, and games, and more, and some 3D TVs perform real-time 2D to 3D conversion. However, you're looking at spending quite a bit more of money on home theater gear, and you might be disappointed in the amount of content available at this point. Note: A VR video player would be a must to play 3D VR movies on computer. Alternatively, if you want to watch VR videos on iPhone, you may download a VR APP like Discovery VR for iOS. If you use a Samsung or Android phone to watch 3D VR movies, Smash Hit for Samsung Gear VR, Cardboard for Android Phone would be good to go. Create Your Own VR Video for VR Headset, How to Realize? We can save any content on the microSD Galaxy Note 4 or S6/S7 or sync to iPhone via iTunes for using in 3D glasses, but you must be placed in the appropriate format. Because of the playable format of the 3D glasses have strict requirements, such as: some MKV movie files(downloaded from Internet or some raw Blu-ray rips in MKV) in 2D or 3D SBS(Side-by-Side) work on VR headsets, but the audio has to be encoded in AAC or MP3 for stereo. AC3 audio and DTS Dolby don’t seem to work. Some YouTube downloaded FLV are not workable in VR headsets like Google Cardboard, Gear VR, VR One, etc. What’s more, 2D/3D Blu-ray or DVD are not supported by VR headsets obviously, we need the best 3D Movie Converter for VR Headsets to do 3D Video conversion firstly. Below is a easy-to-understand VR Headset 3D Movie FAQs, check it out! Q: Can I wear my eye glasses with the 3D VR GLASSES when watching 3D movie? One of the big questions on everyone's minds is whether it's necessary to wear 3D glasses at home. Currently, all 3D TV viewing available for consumers has to be done by wearing 3D glasses. However, there are technologies in various stages of development that can enable you to see a 3D image on a TV or other type of video display device without glasses. With their decreasing price points and performance improvements, 3D TVs are beginning to gain a foothold. However, they are still far from mainstream purchases. That means it's up to you to really do your homework before you jump into the 3D TV experience. We have lots useful tips to help you make all the big decisions, from choosing the location and size of your new television, to evaluating the different types of glasses. Plus, don't miss our lists of the best 3D TVs. One of the frustrating things about watching 3D at home is how to adjust your 3D TV to get the best 3D viewing experience. Let's face it, most consumers bring their TV home, unbox it, go through any "quick setup" function, and leave it at that. The result is that the TV's quick setup or default settings may not be the best settings to use when watching 3D. What happens next is that the consumer, understandably, get buyer's remorse and just forgets about taking advantage of the TV's 3D functionality. However, with just a few tweaks to your TV's picture settings, you can enjoy a better 3D viewing experience. As 3D continues to make inroads into the home theater and home entertainment environment, consumers are faced with upgrading their TVs and adding or upgrading to a 3D Blu-ray Disc player. However, what about that home theater receiver? The good news if that in the audio area surround sound formats will not change (for the time being) with the introduction of 3D into a home theater setup. However, depending on what home theater receiver you have determines how you might make the physical audio connections between a 3D-enabled Blu-ray Disc player and the home theater receiver. In other words, if you really want to be fully 3D signal compliant across the entire connection chain of your home theater system, you need to have a receiver that is 3D compliant by having HDMI 1.4a connections, especially if you rely on your home theater receiver for video switching or processing. However, you can avoid this additional costly upgrade by planning ahead. Blu-ray is an integral part of the home entertainment experience, and 3D movies on Blu-ray providing an additional viewing option for consumers. As part of my job, I use 3D Blu-ray Discs to test the 3D video performance of Blu-ray Disc Players, TV, video projectors, and Home Theater Receivers. However, not all 3D Blu-ray discs offer the best experience. See Top 10 3D Movies on Blu-ray/DVD | Ultimate Blu-ray Disc (3D) Ripping & Copying Guide + Review. Now that 3D is available, there is a growing number of 3D Blu-ray Discs, 3D Cable/Satellite programming, and 3D content streamed from the internet that can be great for family viewing. 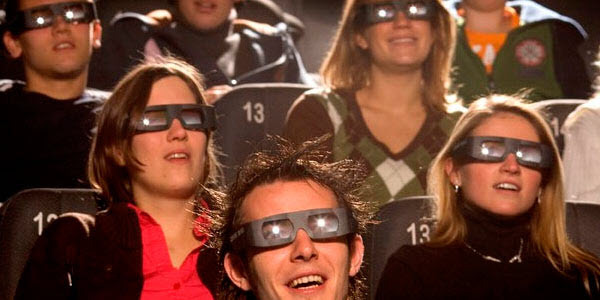 However, is watching 3D good for you and your family? If you have a way to view 3D content, then why not make your own? There's a new breed of camcorders that enable you do just that. BDMagic for Windwos/Mac - The best Blu-ray solution to rip and backup any commercial and region-locked Blu-ray to 2D/3D MP4, MKV for watching on 3D devices. DVDAid for Windows/Mac - Capacity of ripping copy-protected and homemade DVD to VR headsets, 3D TV, home theater, etc with suitable format. Pavtube Video Converter Ultimate for Windows/Mac - Function of converting Blu-ray/DVD, 4K/SD/HD video in any format to nearly all popular video format you have ever seen for viewing with vairous 3D players or 3D devices.